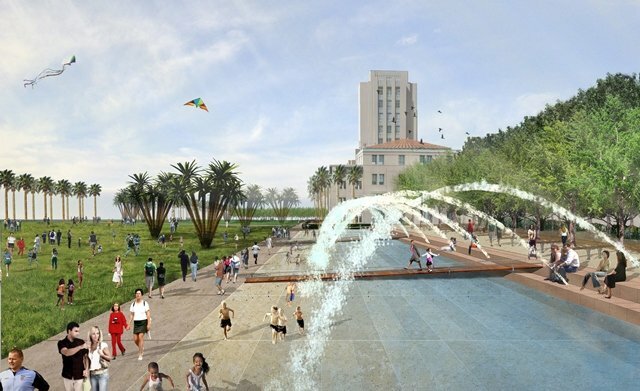 San Diego’s 12-acre Waterfront Park located at the County Administration Center offers an opportunity to beat the heat with an 830-foot-long fountain with 31 jets that shoot water 14 feet into the air before it falls in a shallow splash area. Other features include a grassy area for picnicking with a view of the bayfront, lush gardens, and a large playground. Parking is provided in an underground garage off of Ash Street. Saturday, June 8, 10:00 a.m.
Sunday, June 9, 10:00 a.m.